I know what you’re thinking — celery?! Truth be told, it’s doesn’t rank high on my list of my favorite vegetables or flavors. But the benefits of having a glass every morning may make you reconsider it (the way I have). Recently, my older brother and his wife introduced us to the world of celery juice. The research is astounding on how powerful of an anti-inflammatory it is. Essentially what is does is starves the unproductive bacteria and other bad things in your body (yeast, mold, fungus, and viruses) and flushes their toxins out of the intestinal tract and liver. Plus, it helps good bacteria thrive. And it’s SO easy to make. Just use a juicer to juice 1-2 heads of celery and drink up! 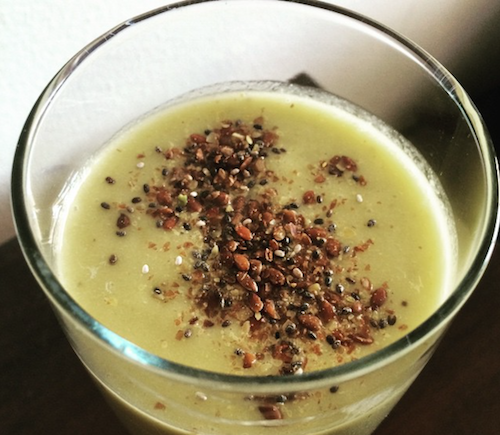 If you only have a blender like a Vitamix, you can also blend it in there and just strain it. * Consuming celery is the most powerful way to alkalize the gut…It also helps to raise your body’s pH and rid toxic acids from every crevice of your body, including your gut. This helps to cleanse and repair intestinal linings. * It raises hydrochloric acid in the stomach so that food digests with ease. This helps prevent a range of gastrointestinal disorders. Adding celery juice to your diet is the best way to resolve ammonia permeability, an unrecognized condition in which ammonia gas seeps through the intestinal lining and causes health issues such as dental rot and brain fog. * For the full effect, drink a full 16 ounces of fresh celery juice daily—and make sure it’s on an empty stomach to raise hydrochloric acid levels most efficiently. 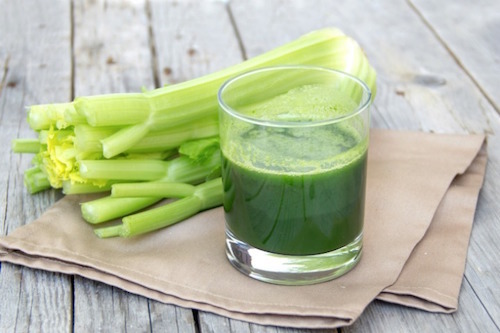 For dramatic results, drink two 16-ounce glasses of fresh celery juice a day. * Use organic celery whenever possible. If using conventional celery, be sure to wash it especially well before juicing. * If you find the taste of straight celery too strong, you can juice one cucumber and/or one apple with the celery. Anyone else convinced to try? Veestro asked if I’d try a 5-day meal plan (15 meals) to see what I thought. They sent me some info about the perks of a plant-based diet. Besides promoting long term sustainable weight loss, they’re low in saturated fats, high in fiber, and reduce excess cholesterol intake. Not to mention, they’re rich in antioxidants, plant sterols, phytochemicals, and potassium, which are all thought to reduce the risk of heart disease. Of course, there’s a lot that rides on the quality of the plant-based and non-meat products you’re eating — if you’re not eating meat but eating an excess of processed foods, for example, you’re still taking in a lot of calories. But crash-nutrition lesson aside, I was mostly curious about the taste of their meals. After eating their meals for a week I found a few things consistently true: they didn’t skimp on flavors, they use fresh ingredients that you can actually read without a dictionary, and (true to their word) no preservatives. 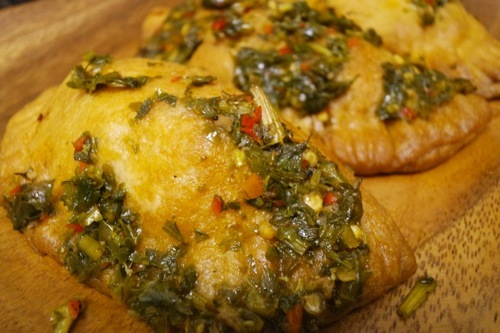 You also have a few options on how to prepare them — some you could heat on the stove top or microwave, some you had to bake but this gave some flexibility to bring it to work. Plus, there was a lot of variety in cuisine so it didn’t get boring. I was really starting to look forward to my meals every day. 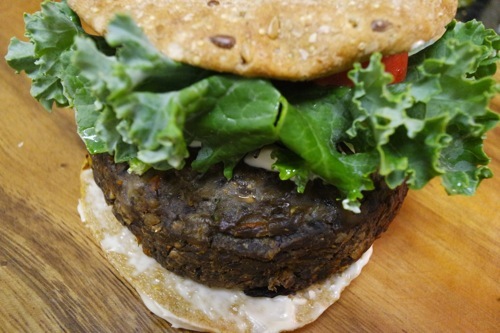 Veggie Burger Patty (made with braised tempeh, organic black beans, mushrooms, carrots, zucchini, and corn). I added some cheese, kale, and sriracha ketchup to this and it was so filling and delicious. 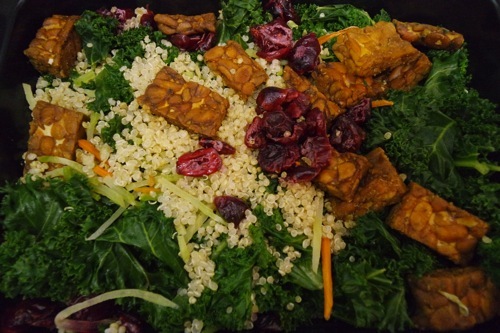 Here’s some more pics of the meals — even their juices are not to be missed. 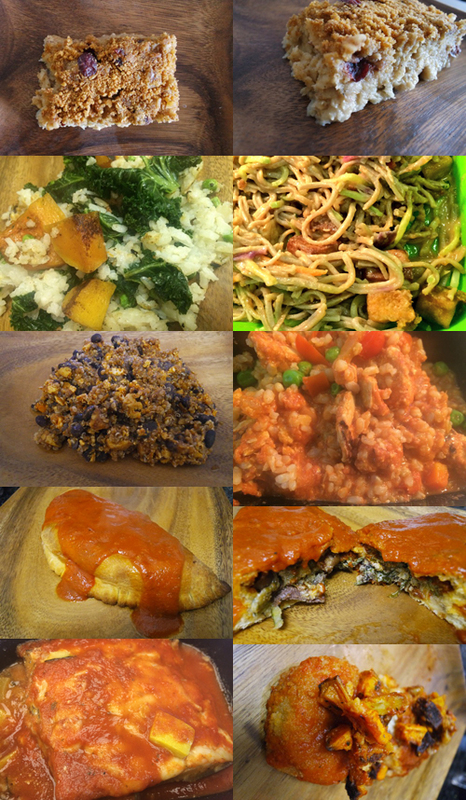 From top (left to right): Oatmeal breakfast, Risotto with butternut squash and kale, Soba noodles with peanut sauce, Three layer scramble with tofu, Thai Chick’N stew, Tuscan calzone, Eggplant Casserole, and Savory Croquettes with veggie hash. My only small gripe was that not all the directions are that detailed on how to prepare the food (I ended up cooking some over heated olive oil, but some that come with sauces could have been more descriptive) — then again, this can help you get creative with the dishes, like I did in some cases. Other than that, the only real problem you’ll run into is making room in your freezer. Also, if you’re grabbing the meals to go (especially to work where you won’t have a stove available a lot of times), make sure it’s one that can be heated up in the microwave. Want to try it yourself? Visit veestro.com, and use coupon code VEESTROFEAST to get 20% off your entire order through Sept 30th!! Ok so the last time I made cauliflower, it sounded a lot more promising than it actually turned out (see the maple-sriracha roasted cauliflower). The flavor was a little weak. But this is legitimately delicious. I made some tweaks to the original recipe that I’ll note below. I guess what I’m learning is whereas before I used to be so by-the-book when it comes to trying something new, now I don’t freak out if I’m missing an ingredient. I’m sure all real chefs know this already, but there’s usually a way around it…like, for example, if you don’t have bread crumbs but DO have crushed pumpkin seeds from the recipe you did the day before. Just think about making it your own :). Heat 3 tablespoons of the olive oil in a large skillet over medium heat. Add the cauliflower florets and season with salt and pepper. Cook until the cauliflower begins to brown and soften, about 12 minutes, stirring every few minutes. To roast the red pepper, I put it in a tray drizzled with olive oil in the oven for 15-20 minutes, turning it over once each side browns. Remove and let cool. 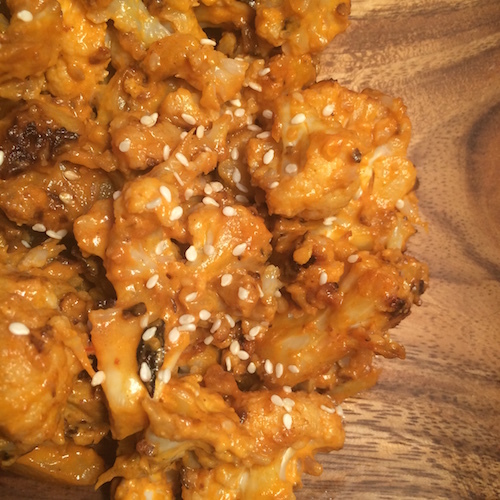 While the cauliflower is cooking, heat the remaining 1 tablespoon olive oil in a medium skillet over medium-low heat. Add the garlic and saute until softened, 1 minute. Add the roasted red pepper and saute for another few minutes, until heated through. 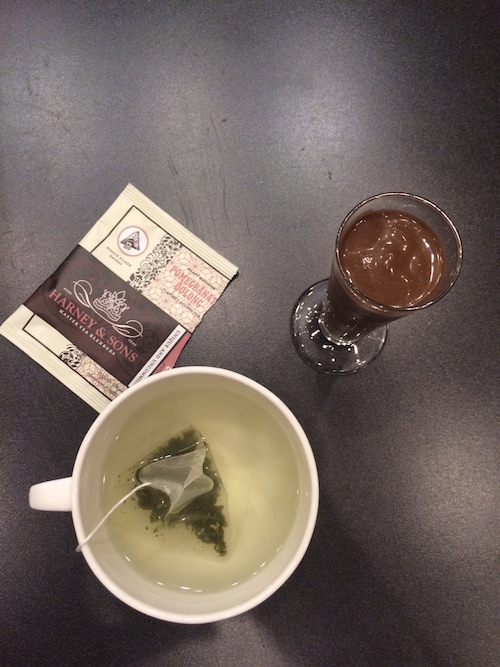 Transfer to a blender or mini-chopper and blend. Add the tofu (or feta cheese in my case) and some salt and pepper and puree until smooth. Add the puree and the red pepper flakes to the cauliflower and cook for 1 minute. Stir in the breadcrumbs (or pumpkin seeds) and sesame seeds and cook another minute. Transfer the cauliflower to a serving dish and serve. It ends up as a really creamy, decadent dish that can be a meal or a side. Try it and let me know how it goes! 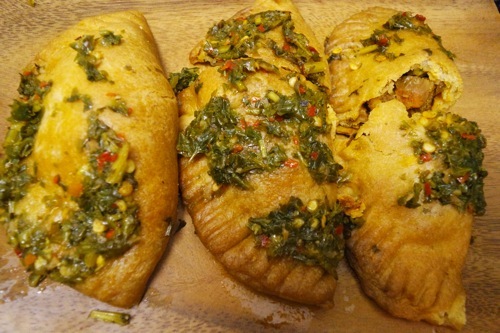 Inspired by Daphne Brogdon’s recipe on the Food Network. Anyone else watch the cooking channel while they’re on the treadmill? No? Well you should, because A) it makes an hour fly, and B) you will likely come across a new dish you’d want to try, like I did when I saw one from Damaris Phillips. She had an episode based on a recent visit to Mexico and she came back to make a three-course meal inspired by her trip. 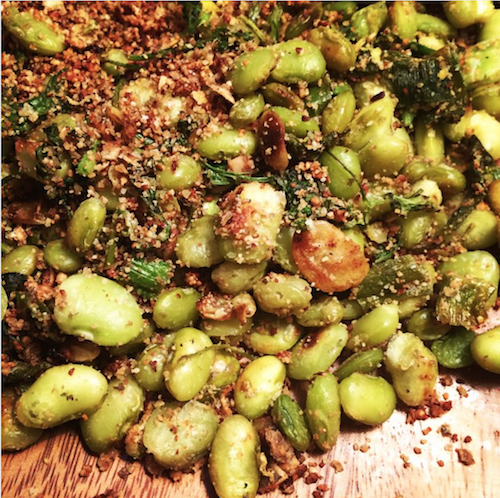 The appetizer she made looked just too good not to try: seared lima beans with roasted pumpkin seeds. I feel like I’ve been OD’ing on my favorite ingredients (mushrooms, avocados, quinoa, and that variety), so thought it would be nice to try something new. Never thought I’d crave lima beans so hard. 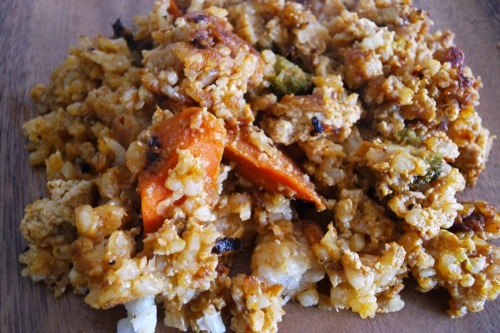 It has a nice, nutty flavor and makes a good, light veggie side dish for a meal. Spread out the pepitas on a baking sheet; transfer to the oven and roast until golden brown, 10 to 15 minutes, tossing halfway through. Let cool to room temperature, then grind the pepitas in a food processor to a coarse-milled consistency. Heat a cast-iron skillet over medium heat. Add the coconut oil and heat until very hot, about 1 to 2 minutes. Add the lima beans and sear on one side until light golden brown, 3 minutes. Add the green onions, parsley, roasted pepitas and the lemon zest. Stir, and saute for 1 to 2 minutes. Turn off the heat and season with salt to taste. Add the lemon juice, 1 tablespoon at a time, until the desired tanginess is reached. 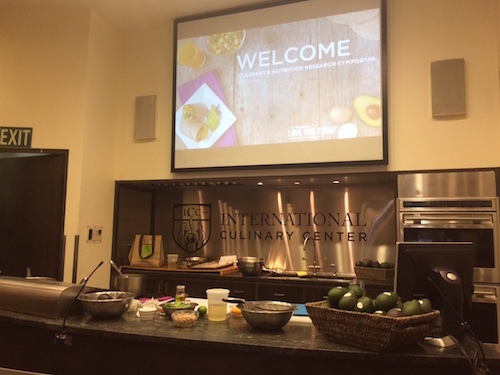 I was recently invited to the International Culinary Center to learn more about the health benefits of Hass avocados and recipes using them from Julia Nordgren, who’s a physician, trained chef, wife and mother of two (this is the part where I momentarily feel like I’ve done nothing in my life). 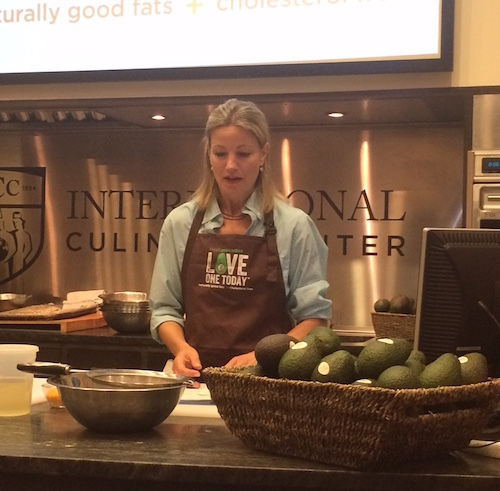 It was easy to see her passion for food and nutrition as she demonstrated some easy meals. She taught us about the big misconception of fats (and aversion of it) when we diet. 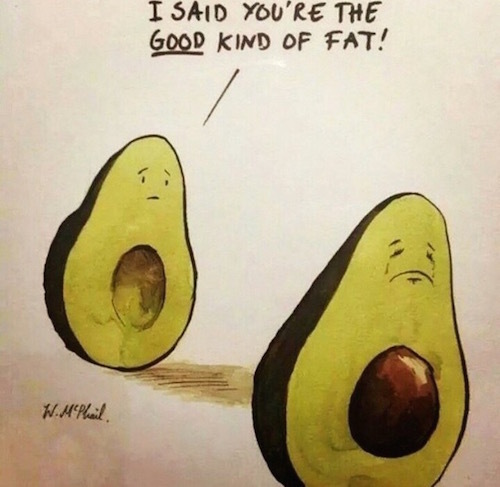 Healthy fats, like the ones you find in avocado, are important to have in your diet because it helps you absorb vitamins, help you stay satiated, keep your skin healthy, etc (the fats that you want to avoid, she added, are saturated fats like what you find in sugary, processed foods). 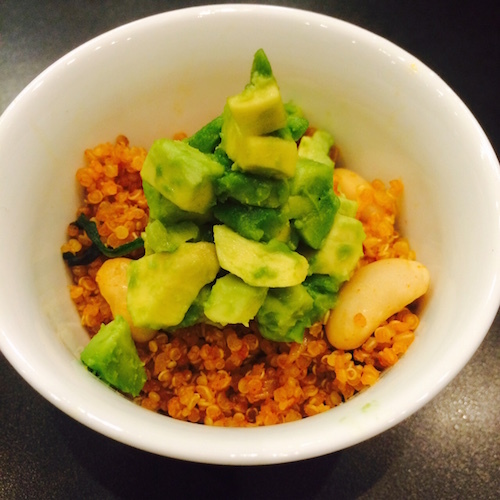 Nutrition lesson aside, she prepared a delicious Smoky Avocado Quinoa Breakfast Bowl. She emphasized trying to squeeze in as much fruits and veggies in your meals, and this plant-packed meal has 15 grams of protein, and 13 grams of fiber. 2) Add minced garlic and cook 1 minute more. Add smoked paprika. Stir and cook for 1 more minute. Add rinsed quinoa and stir to combine. 3) Add the vegetable stock and bring to a boil. Reduce heat, cover, and let simmer for 10-15 minutes. Uncover and fluff with a fork. 4) Sprinkle the cubed avocado with lime juice and pinch of kosher salt. Mix gently and set aside. 5) In a separate sauté pan, heat the remaining olive oil. Add white beans and spinach. Cook over medium heat until the beans are heated through and spinach is wilted. 6) Add the quinoa pilaf, stir to combine, and then spoon into serving bowls. 7) Top each bowl with a generous spoonful of cubed avocado. You can even put this in a wheat tortilla to make a breakfast burrito. I’ll put that addendum in the next post. For more avocado recipes, visit http://www.avocadocentral.com/avocado-recipes. Enjoy! Avocado is a good source of fiber and vitamins like B and E. The green tea helps jump start your metabolism, and regulates your glucose, while the ginger helps strengthen your immune system and aids in digestion (and gives a nice kick to the smoothie…if you know anything about me, I love ginger in EVERYTHING. It’s a good problem). Spinach adds zinc, protein, and vitamins, and finally, I like to add chia and flax seeds as another source of Omega 3s and fiber. Carrington Farms somehow telepathically knew I’m always stocked up on these, and coconut oil and sent me easy to use on-the-go packets which I’m now obsessed with (especially since I can take them on my travels). I put them on everything, but more to come on that soon. Any of you going to try the smoothie? Let me know what you think!